What Happened to the Infinity Gauntlet at the End of Infinity War? For those of you who have not seen Avengers: Infinity War yet, there are major SPOILERS below, so read ahead at your own risk. There are a lot of instances in Infinity War that are taken directly off of the page from the different comics that were used as source material. One of those times includes the very end of the movie where Thanos is able to use the Space Stone to teleport away from Wakanda after succeeding in his mission to obtain all six Infinity Stones and wipe out half of the universe. But what happened after all of that? After Thanos snaps his fingers on Earth, he uses the Space Stone to travel to another planet, where he is seen sitting on a porch without the Infinity Gauntlet. The Mad Titan's arm is badly burned and the Infinity Gauntlet is spotted on a scarecrow, which has seen some better days as well. The visual of the scarecrow is taken from the Infinity War comic in what is known as Farmer Thanos to Marvel fans. The Infinity Gauntlet is badly burned, as shown in Wakanda as well, and appears to be broken. Obviously, the Gauntlet isn't completely broken, as Thanos was able to teleport using the Space Stone. So, it seems logical to think that the Mad Titan simply overloaded the Gauntlet with the ultimate power, leading it to not function with the power of all 6 stones any longer. Infinity War does not expressly say exactly what happened to the Infinity Stones or the Gauntlet, but it sure does imply that it has been badly damaged. 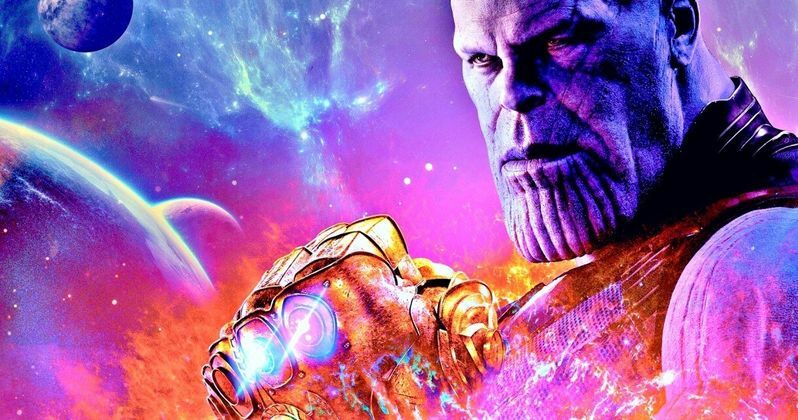 If Thanos isn't able to use all 6 stones in a God-like way anymore, it could go a long way in being one of the factors that allow the Avengers to take the Mad Titan down in the upcoming Avengers 4. However, this is all speculation at this point, since nothing has been officially revealed by Marvel Studios. A lot of action goes down in Infinity War, but the mystery at the end is almost too much for fans of the Marvel Cinematic Universe to handle, having to wait a full year to see the next installment. The Infinity Stones have played a large role in the MCU over the past decade, so it's safe to say that they will play a major role in Avengers 4, just like they did in Infinity War. The Avengers could end up going back to Nidavellir to use the old mold of the Infinity Gauntlet that was seen during Infinity War to handle the 6 stones on their own. Again, this is speculation at this point. We still have a lot of waiting to do before we learn the true fate of the Infinity Gauntlet and the stones. You can read more about Infinity War and the Gauntlet over at CinemaBlend.